Chile is an isolated wine region, protected by the Pacific Ocean to the west and the Andes mountains to the east. The isolated conditions, with its environmentally protected land, are ideal for ;consistent', yearly grape growth, which is not the norm in the other wine regions of the wine world. Winemaker Alejandro Galaz heads the operations at Kalfu.. Mr. Galaz’s reputation is known worldwide as the winemaker who specializes in cool climate wines. According to Alejandro Galaz, “from the vineyard to the bottle, producing cool climate wines can be challenging…but, I enjoy a challenge…always striving to produce wines that are a sincere expression of elegance, distinction and subtlety of the grape”. Aging; Up to five years in ideal conditions. Aroma; Chalky, peppery and sour cherry aromas abound. Aging; Up to fifteen years in ideal conditions. The Leyda Valley is located four miles from the Pacific Ocean and close to the Maipo River. The vines face the ocean with its morning fog and cooling breezes. Both wines were unique and powerful on the palate. 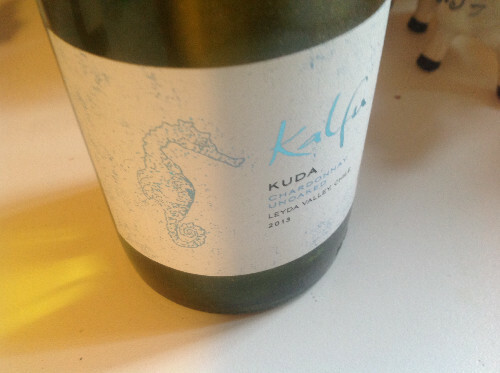 The Pinot Noir was atypical, which made it the most interesting and unusual Pinot Noir in the marketplace. It's worth a try! 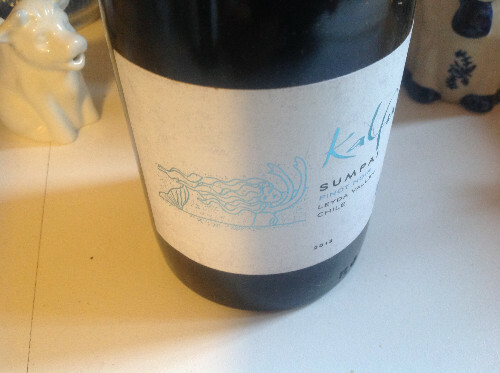 Other releases from Kalfu include the 2013 Kalfu Sumpai Sauvignon Blanc ($24), 2013 Kalfu Kuda Sauvignon Blanc ($19) and the 2013 Kalfu Kuda Pinot Noir ($19).